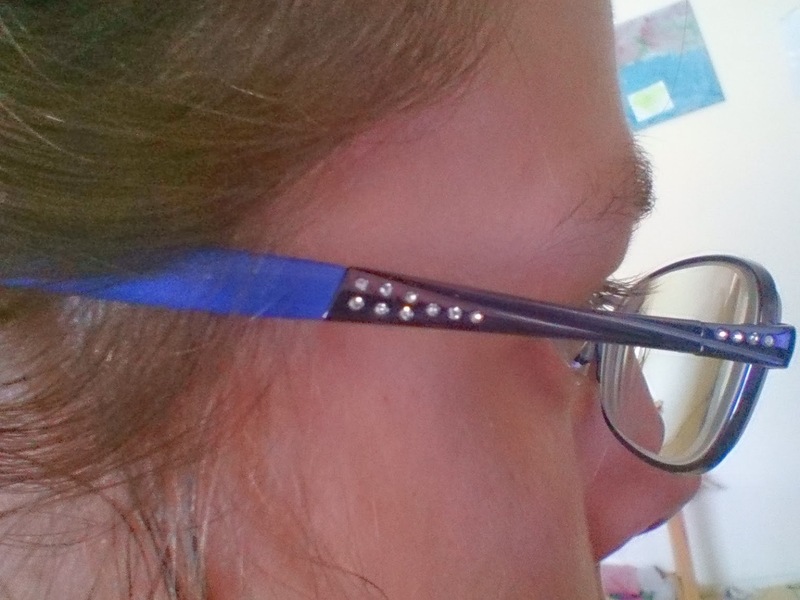 Naughts & Cross stitches: Glasses are wonderful! 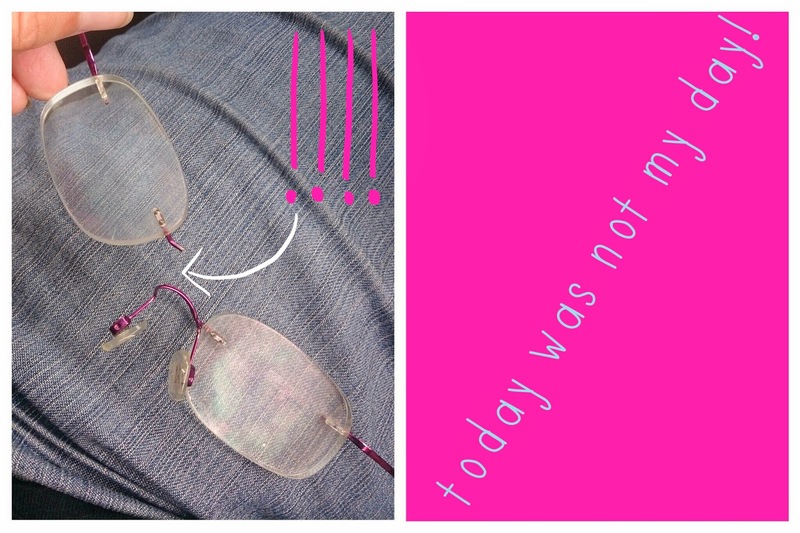 Last Tuesday I was driving to the shops when my glasses BROKE! I'm extremely blind without them! I can't see much past my face without them. It was the scariest time trying to drive to get home. I had to hold one side up and balance them on my nose while keeping the other eye closed so that I wasn't seeing triple. I've only had these glasses one year. Thankfully at home I did have a spare pair of glasses. It felt so weird to wear a pair with full rims, but it looked so much better than no glasses. It only took me a day to get down to the optometrist and order a new pair of glasses. I had so much fun picking out a new pair. Here were my final two choices. It was such a hard choice. they looked nice but too big on my face. I ordered them early Thursday morning and Monday afternoon I got a text saying they were in. Here I am with my new pair of glasses and loving the new look. Very cute! Sparkles are always good! What a pain that your glasses broke - not good! Sparkles!!! I love your glasses they are so cute! And they look really look good on you. I'm hoping that when I go get new ones that I'll be able to find some with sparklies. I'm glad you were able to make it home alright even though your glasses broke. OMG. I am blind without my glasses too, so I can imagine how scary it must have been! Your new glasses look great. Great glasses! I have one pair to drive or watch TV, and a different pair to work on computer or go shopping, which are just right for things a few feet away. I don't wear any glasses to read or stitch. I really should have a spare in case one breaks. I'll be sure to look for sparkles next time! Thank you for your comments I love to hear from you. I am a crazy crafter who decided to work full time and do my Masters degree in Accounting. I have 2 wonderfully crazy kids at home so time really doesn't exist. I love cross stitch and sewing and crochet and knitting and drawing.... can you see the theme? I basically love any craft I can get my hands on. I have made it my goal to eventually have a wardrobe full of handmade items. I am wanting to be the strongest person possible so I am focusing on being the best I can.